Do you know what a 5% Hurricane Deductible really means? It’s not 5% of the cost of damage. 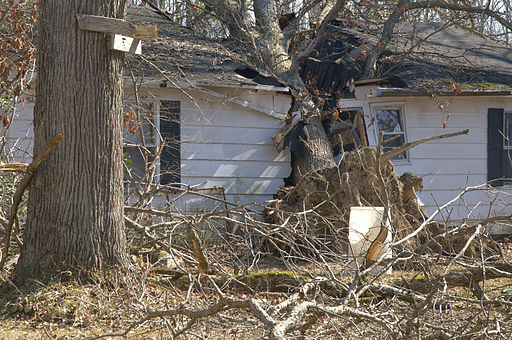 A 5% hurricane deductible means 5% of the dwelling coverage, the estimated COST TO REBUILD. Consider a policy with a $300,000 dwelling coverage and a 5% hurricane deductible. In the event of a loss, the homeowner will be required to cover $15,000 of repair costs before insurance pays! Most people don’t think about this until it’s too late. Hurricane Joaquin is bearing down on the East Coast but it’s still several days away and could even go out to sea. Don’t procrastinate. CALL YOUR INSURANCE AGENT NOW to discuss your options! You might be able to buy down your deductible if your carrier hasn’t issued a moratorium. Always call your agent before doing anything with your insurance, and especially before filing a claim. Homeowners often make the mistake after a hurricane of claiming things that have no real value, not realizing that it will count against them in future policy reviews. A common example is claiming lost food. Throwing out a few hundreds dollars worth of food might seem expensive but it’s not when compared to the impact a claim has on your insurance history. If your carrier has issued a moratorium or you just aren’t sure what to do then call us. We’ll review your policy and consult with our agency network to see if we can help. Stay tuned to this blog or our social media channels on Facebook andTwitter for more information about Hurricane Joaquin and how it might affect your insurance.